COMMENT You tolong saya, saya tolong you. You’ve probably heard this expression before, especially if you’ve been caught committing a traffic offence. It’s the opening line in a negotiation for a reduced fine, to be paid on the spot. The English translation of the expression has lately been gaining currency, thanks to none other than Najib Tun Razak. The Prime Minister was recently caught on video saying: “Let’s make a deal... you help me, I help you.” He was negotiating with voters in Rejang Park during the campaign for the Sibu parliamentary by-election. Pakatan Rakyat has cried foul, alleging that Najib was offering to buy votes and was therefore in violation of election laws. Yet, to the pussycat authorities (compared to the even more DRACONIAN Singapore Special Branch), the PM has done nothing wrong. So the pertinent question is: How much are the Chinese votes worth? The answer depends on whether you are the recipient or the giver. The cash value can range from RM3 million to RM160 million. Normally, the infrastructure needs of the contested constituency would determine the quantum. However, the amount can also depend on the degree of Barisan Nasional’s desperation for an electoral victory. In Sibu, as in Hulu Selangor before it, the desperation was high indeed, judging from the amounts offered. And from both by-elections, Najib and BN have found out that not every Chinese can be bought (or have grateful character). It must be hard for corrupt politicians to understand why money cannot buy a person’s integrity (foochows are know to be the biggest cheaters and manipulators in South East Asia), dignity and pride (kiasu). Perhaps the orientalists are right about the Chinese being inscrutable. One the one hand, they are stereotyped as worshippers of money. On the other, they are notoriously loyal to the traditions of the ancients (loyal only their clan and not country where they make wealth). The majority of Sibu’s Foochows and Hakkas have certainly made their ancestors proud. They chose righteousness (DAP is rightousness) and rejected dubious electioneering tactics. The Sibu election results remind us of a legend that has been told for thousands of years. It is believed to have originated during the reign of the Zhou dynasty (551-479 BC), and the events were supposed to have taken place in one of the fragmented Seven Kingdoms. The emperor had two concubines — Ha Ying Chun and Chung Mo Yin. He adored Ha for her stunning beauty, although she was ambitious and vindictive. She was the younger sister of the emperor’s prime minister and had set her mind to be crowned empress. Chung was famous for her intelligence and good nature. But she was born ugly, with a birthmark covering half her face. Both were indispensible to the Zhou emperor, but Ha of course spent a lot more time with him. He would summon Chung only when he needed to exploit her tremendous thinking skills for strategic solutions to problems of state. He showered expensive gifts on Ha, but treated Chung shabbily despite her invaluable contributions to the state. BN treats Chinese voters as if they are concubines like Chung, marginalised during good times (outright lie by stanley koh and free malaysia today as sibu chinese have benefited the most out of the government at the expense of bumiputeras in Sibu)but courted when their votes are needed. Are the Chinese awakening to find that the rot has gone too deep and they can no longer stomach the politics of greed, corruption (by the foochows and for the foochows) and unfair policies that have enriched only a few (yes only the foochows in Sibu dearest stanley, please refer to economic data)? Recent polls show that only 30% of Chinese voters support BN. Is this a stern reminder to the ruling regime (regime? a regime is a government that does not allow ANY opposition like Singapore, not a democratically elected government in Malaysia), or merely a sign that the Chinese no longer like to be treated like concubines (concubines? you mean top beneficiaries)? Will this voting trend of the Chinese community hold until the next general election or is it just a passing phase? Whatever the case, Chinese Malaysians have spoken loudly through the ballot box. They are not content being treated like slaves (it is the chinese owners of plantations that treat workers like slaves) dependent upon a hypocritical government that dictates their lifestyles, how much freedom they deserve, and the quota they deserve in education and business. They want to put a stop to money politics and are pressing for reforms and a level playing field in politics (try being a bumiputera in a chinese owned or run conglomerate in Malaysia). In short, the spirit of the Chinese community for a two-party system is burning, and they will make known their feelings against an oppressive government that bullies the elected opposition (neighbouring country not only uses its courts to bankrupt opposition politicians but also jail them arbitrarily). Is ours a government that respects the right of voters to choose their representatives democratically? The answer is an obvious “No.” (if no then DAP would not have won Sibu or the state government of Penang)The Chinese are angered and frustrated by the arrogant and unethical ruling regime that has toppled a state government and is planning to topple a few more — with money, of course. And they have had enough of official bigotry and insults against their community by individuals or groups acting as proxies to the regime (are you refering to Siqiu, Dong Ziong or Communist Party of Malaya dear Stanley?). If the regime continues to encourage party hopping, what is the use of elections (are you suggesting rigged elections like your own country is a better alternative stanley?)? Why should voters respect a regime that does not respect their choices? Any Chinese voter worth his rice porridge and claiming to inherit Chinese culture would not sell his soul to the devil (bumiputeras and muslims? ), who has lately assumed the form of politicians making insincere promises. Indeed, it is becoming clear that the Chinese are waking up to the importance of their vote; they are using it to weed out traitors and to punish racists and chauvinists. To them, a vote is more than a token that gives legitimacy to an elected body of representatives. Those elected should be behaving as servants and trustees of the people and not as warlords (hmm interesting that DAP is controlled ONLY by the Lim family, Chong family, Ngeh family and Gobind Singh Deo family) or masters (minister mentor?). They elect their representatives not in order to give them bigger and bigger mansions, but in order for them to push for restoring the independence of all the estates of government. The dramatic shift of Chinese votes to the opposition is expected to escalate at the next general election as long as an ineffective government continues to support racist and extremist organisations. And their anger will rise with every attempt to topple a state ruled by the parliamentary opposition. The survival of BN and its component parties really rests in their own hands. Demikian reaksi Presiden Pertubuhan Pribumi Perkasa Malaysia (Perkasa), Datuk Ibrahim Ali ketika mengulas kenyataan Khairy yang menyifatkannya sebagai jaguh kampung dan menjadi penghalang kepada semangat 1Malaysia. Ibrahim berkata, pertubuhan tersebut sememangnya ‘jaguh kampung’ kerana di kawasan tersebut terdapat ramai orang Melayu dan bumiputera yang memerlukan pembelaan. Katanya, Perkasa terpaksa memperjuangkan hak kaum pribumi kerana nasib mereka semakin dihimpit apatah lagi Pergerakan Pemuda UMNO yang dipimpin Khairy semakin lesu. “Saya gembira (dengan kenyataan Khairy) sebab saya memang dibesarkan dengan nyamuk di kampung dan bukannya dilahirkan di Kuwait apatah lagi belajar di Oxford. “Maka sebab itu nasib orang kampung khususnya Melayu dan bumiputera perlu dibela kerana banyak isu yang dibangkitkan hari ini membabitkan kepentingan bumiputera. “Perkasa hanya mengisi ruang di atas kegagalan Pemuda UMNO yang semakin lesu di bawah pimpinan Khairy,” katanya kepada pemberita di sini hari ini. Akhbar hari ini melaporkan kenyataan Khairy yang mendakwa pendekatan digunakan Perkasa terhadap sesuatu isu merupakan penghalang kepada semangat 1Malaysia. Jawapan itu diberikan Khairy ketika ditanya mengenai kenyataan Ibrahim yang mendesak beliau meletakkan jawatan sebagai Ahli Parlimen Rembau kerana dikatakan membelakangkan agenda Melayu. 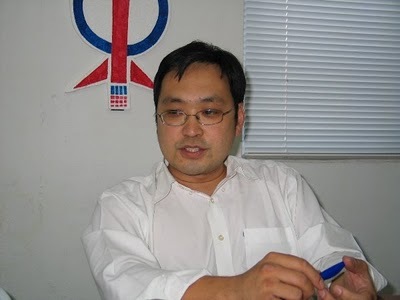 Ia berikutan tindakannya mempertahankan kenyataan Ketua Pemuda MCA, Datuk Dr. Wee Ka Siong dalam isu biasiswa Jabatan Perkhidmatan Awam (JPA). Kelmarin, Ka Siong yang juga Timbalan Menteri Pelajaran menafikan bahawa beliau mempertikaikan hak keistimewaan orang Melayu. Khairy turut dilaporkan berkata, pendekatan Ahli Parlimen Pasir Mas berkenaan sudah ketinggalan zaman dan tidak lagi laku untuk diguna pakai dalam era globalisasi. Ibrahim berkata, Khairy tidak perlu menjadi penyibuk kerana apa yang dibangkitkan sebelum ini hanya membabitkan Ka Siong yang mempersoalkan hak bumiputera dalam isu biasiswa. “Kenapa tiba-tiba dia pertahankan Ka Siong sedangkan jelas pemimpin MCA ini mempertikaikan hak keistimewaan Melayu kerana saya percaya laporan akhbar tidak silap. “Saya ingin bertanya di mana pendirian Khairy ketika Setiausaha Politik kepada Perdana Menteri, Datuk Nasir Safar dan bekas Ketua UMNO Bahagian Bukit Bendera, Datuk Ahmad Ismail dihentam kerana membela Melayu?,” katanya. Beliau turut mendakwa Khairy menjadi penyumbang kepada kebencian rakyat terhadap UMNO dan kekalahan Barisan Nasional (BN) pada pilihan raya umum lalu. “Apakah Khairy faham konsep 1Malaysia, Perdana Menteri sebelum ini berulang kali menyatakan bahawa konsep tersebut tidak sama dengan gagasan Malaysian Malaysia yang dibawa oleh DAP kerana 1Malaysia masih di bawah payung Perlembagaan negara,” katanya. Beliau juga mendakwa mempunyai bukti bahawa ada pelajar Melayu tidak mendapat biasiswa walaupun memperoleh keputusan cemerlang dalam peperiksaan Sijil Pelajaran Malaysia. “Semalam seorang ibu menghubungi saya kerana anaknya, Muhd. Asyraf Fahmi Abdul Razak dari Sekolah Berasrama Penuh Integrasi Kubang Pasu yang mendapat 12A tidak mendapat biasiswa untuk ditempatkan ke universiti yang lebih baik. “Saya akan membawa kes ini mengikut prosedur tetapi sekiranya pelajar ini tidak diberikan biasiswa saya akan memulakan langkah untuk menyaman kerajaan,” katanya. Deputy Minister in the Prime Minister's Department Datuk Ahmad Maslan told a press conference this afternoon that Felda would be filing a defamation suit to the tune of hundreds of millions of ringgit against all those who were involved in the allegation claiming Felda was bankrupt. Several PKR leaders, including Tan (picture), Datuk Seri Anwar Ibrahim, Datuk Zaid Ibrahim as well as Suara Keadilan, its owners and chief editor, a PAS MP and several reporters are expected to be named in the suit, set to be filed soon. Tan, who is now with the PKR after leaving Gerakan, however remained nonchalant and maintained that 100 per cent of Felda settlers were in agreement with him. “Think very carefully about whatever that idiot (Ahmad) is saying... you can call him that, an idiot. You may not be an expert in oil palm but look at what happened in the figures. “How can, when the authority had cash of about RM4.5 billion and no borrowings before (Prime Minister Datuk Seri) Najib (Razak) took over, how can any company mess up with such a healthy balance sheet? “God only knows,” he told The Malaysian Insider today. He said that with such a robust financial standing, the land development authority should not witness a depleting cash reserve. “When oil palm companies are now registering profits, your cash reserves are going down,” he pointed out. He told Ahmad not to continue “talking nonsense” and advised Felda to stick to its core business. “Stick to your core business. Do not rip the Felda settlers off. Stop talking nonsense. Do oil palm, there is plenty of money in this business. “Why do you need to invest in the US? What technology does the US have in oil palm? “You are supposed to be providing land for the landless and you are dealing with what we call black, edible oil... it is like black gold,” he said. He pointed out that crude palm oil (CPO) prices over the past few years had been very high and this should help Felda's cash reserve grow. “How can you mess up like this, especially when other companies have been profiting?” he said. When Tan recently raised the issue of Felda's depleting cash reserve, Ahmad had in Parliament admitted that the authority was facing a decline in its cash pile. In his press conference today, the deputy minister reiterated that while it was true that Felda's cash reserves had declined RM2.73 billion from RM4.08 billion in 2004 to RM1.35 billion in 2009, its current and fixed assets had risen as much as RM6.2 billion from RM9.17 billion in 2004 to RM15.37 billion in 2009. Ahmad also pointed out that at present, Felda, the world's largest plantation operator, had net assets worth RM12.2 billion and had investments around the world in countries like Indonesia, South Africa, China, Turkey, US, Canada, Pakistan, Australia, Thailand, France, India and Saudi Arabia. “What assets? It is ok. Let them prove this. I will stick to what I have said,” Tan insisted, sounding increasingly frustrated. “Was Felda embarrassed with what we said? We will have to see the truth,” he said. He pointed out that at least now, the government was finally revealing the details of Felda's financial situation. “At least all this caused them to give out this information. It is good because prior to this, no one knew what was happening in felda, about its overseas investments, about its returns,” he said. KUCHING, June 26 — The Sarawak United People’s Party (SUPP) will issue show-cause letters to three Bengoh branch leaders for tarnishing the party’s image by openly criticising the party leadership in the media. They are Bengoh branch secretary Liu Thian Leong, Youth chief Lee Chee Fui and Youth secretary Chong Jit Leong. Party president Tan Sri Dr George Chan said the trio would be given 14 days from the date of the issuance of the show-cause letters next Monday to explain to the disciplinary committee headed by party secretary-general Senator Datuk Sim Kheng Hui. “As the state election draws nearer, we feel it is important that the party must get together and be one united party... the central working committee (CWC) has decided to take stern action against those who tarnish the party’s image and go against party interests. “We cannot be lenient anymore. We have to show our teeth now,” he told reporters after chairing the CWC meeting at the party headquarters here today. “Today, we make no bones about it. We are fed-up with those who express dissatisfaction with the party to the press. We will send show-cause letters to those who have been very vocal in the press,” he said. The Bengoh branch, through Lee, issued a statement early this week criticising party leaders for hosting a “political show” by setting up counters for the people to appeal against overpaid land premiums. It also questioned the party leaders for neglecting the branch, which included not naming any Bengoh SUPP representative as the Padawan municipal council chairman. Liu and Lee were said to have criticised the party in all Chinese-language dailies in Sarawak over the issues. Dr Chan said there were always opportunities for party members to express their unhappiness within the party over certain issues and policies, through proper channels. To face the upcoming state election, he said the party was setting up 19 state election preparatory committees to collect feedback from the ground to ensure a greater chance of victory for the party. The real reasons on how our beloved Prime Minister Yang Amat Berhormat Tun Abdul Razak contracted 'leukemia'' has never been ascertained even up to today. On that very sad day of January 14th, 1976 the whole nation was shocked and extremely saddened by the passing of this great leader. Little was known of his illness as Tun Abdul Razak didn't want to alarm the nation or his family. Even though he was always in pain for much of 1975 but he still went about the business of developing the country with the same vigour and determination throughout his life of public service. Was his death sudden? Is it possible that he is the only member of his family to suddenly develop 'leukemia' or 'blood cancer' even though none right up to his great great grand ancestors have any such complications? Tan Chee Koon was a member of a secret chinese society which transdcends political, business, gangsters, religious and trade union circles. The society is not limited to Malaysian but also extends to Singapore and Indonesia. This 'societies' are very secret and best described (albeit only partly) by Sterling Seagrave in his book 'Lords of the Rims'. When Tun Abdul Razak introduced the New Economic Policy in 1971 it totally wrecked the 'Lord of the Rims' grand plan to control the political sphere of Malaysia. Between 1957 and 1971 'Lords of the Rims' had already solidified their control over the banking, economic, media and underworld sphere in Malaysia. With the failure of Lee Kuan Yew (one of the Lords of the Rims) to take control of the political sphere in Malaysia (including Singapore between 1963 and 1965), Tan Chee Koon, DAP and other Malaysian-based Lords of the Rims leaders set about their long-term plan to initially confuse, infiltrate, influence and finally dominate/control the political sphere of Malaysia. Tun Abdul Razak New Economic Policy in 1971 really put a spanner in the works for their long-term plan because they had to backtrack to maintain their exploitative and monopolistic hold on most sectors of the Malaysian economy. KOTA KINABALU: Sabah should have earned at least US$5 billion (RM16 billion) from the production of oil from Blocks L and M ceded to Brunei, based on its agreement with Petronas, said former chief minister Harris Salleh. The veteran politician, however, said that the state may no longer have the right to demand the amount since both blocks have been ceded to Brunei. "To my knowledge, Murphy Sabah Co Ltd was awarded the two blocks in 2003 worth more than US$100 billion in oil revenue and Sabah is entitled to 5%. "Now that the blocks have been ceded and Petronas has the right to jointly develop the fields with Brunei, is Sabah still entitled to the oil royalty or profits from Petronas?" he asked. He said that if the area was indeed historically and legally part of Brunei, both the state and federal governments should follow procedures to formalise the matter. However, he said that in his opinion if Limbang in Sarawak is historically part of Brunei, then the Malaysian government should find a solution to the matter without further delay. Sabahans have been concerned since the controversial deal was revealed by former prime minister Dr Mahathir Mohamad who said his successor (Abdullah Ahmad Badawi) had relinquished the two blocks to Brunei. Abdullah subsequently confirmed that Blocks L and M now belonged to Brunei but the agreement provided that Malaysia would be allowed to take part in joint development of oil and gas on a commercial basis in the two areas for 40 years. "The financial and operational modalities for giving effect to this arrangement will be further discussed by the two sides. "This means that in so far as the oil and gas resources are concerned, the agreement is not a loss for Malaysia," said Abdullah, who visited Bandar Seri Begawan on March 15 and 16 last year before he stepped down as prime minister two weeks later on April 3. Mahathir had also said Abdullah had surrendered the two blocks in negotiations with the Sultan of Brunei in exchange for Limbang, which straddles the Sarawak-Brunei border. Blocks L and M are not far from the Sabah coast. Block L alone is projected to produce more than 150,000 to 200,000 barrels per day, which could double Brunei’s oil production. Prior to the agreement ,Murphy Sabah held a 60% stake in Block L and a 70% stake in Block M.
According to Mahathir, in return for surrendering the two blocks, Abdullah negotiated with the Sultan of Brunei to get back Limbang. Limbang was, however, reportedly not mentioned by name in the letters of exchange. “No Petronas representatives were present, only foreign office staff and the foreign affairs adviser to the PM,” wrote Mahathir. Mahathir himself was at one time reportedly trying to settle the dispute over Limbang. COMMENT All eyes are on Chief Minister Abdul Taib Mahmud's beard. In Sarawak, the length of the veteran politician's beard is an indication that the state polls could be called soon. It is an open secret that when the chief minister's beard grows to a certain point, he would be looking for “ilham” or inspiration on when to hold the election. Athough there is still a 12-month window for the next election, political parties in Sarawak are not taking any risk with regard to Taib's beard or his inspiration. In view of this, both Barisan Nasional and Pakatan Rakyat are already making election preparations, with their leaders travelling the length and breadth of the state, organising various functions. On the BN front, its state assemblymen have started announcing funds for various development projects. Also not prepared to be caught with its pants down, the Election Commission has started to train personnel for the coming state polls. Pundits, who are also keeping a close eye on Taib's beard, believe that the state elections could be called towards the end of the year, while there are those who predict that it might be held as early as August. Speaking on condition of anonymity, a political secretary to the chief minister said the federal government’s five-year 10th Malaysia Plan (10MP), which starts in the middle of this year, will see massive development funds being dished out throughout the nation with special attention given to Sarawak’s Corridor Renewal Energy (SCORE). Tenders for mega projects such as the Bakun road to the proposed Murum Dam, the Bintulu/Tunoh/Baleh/Kotai road and Kapit/Song/Sibu road will be out soon. The three trunk roads are expected to cost close to RM2 billion. There are also several major projects which are to be implemented under the 10MP in other parts of Sarawak, for which funds amounting to RM3.4 billion had been announced by the Rural and Regional Development Minister Shafie Apdal. The state BN headquarters has also issued a reminder to its four component parties -- Parti Pesaka Bumiputra Bersatu (PBB), Sarawak United People’s Party (SUPP), Sarawak Progressive Democratic Party (SPDP) and Parti Rakyat Sarawak (PRS) -- to get their machinery ready. “These are not only tell-tale signs that the election is around the corner but is also an overall effort of the state BN to ensure that the voters do not run away from them,” said a veteran politician close to the chief minister. There is little doubt that BN will win the state election, but Shafie in a recent visit cautioned against being complacent. “We need to work harder to ensure we will win in a big way,” he had said. The minister's fear is understandable. While PBB and PRS are free of internal problems, the situation is not exactly peaceful in SPDP and SUPP and this could undermine their performance in the election. The problem in SPDP revolves around a clash of personalities, policy implementation and broken promises. Tension started brewing last March when certain leaders wanted to expand SPDP to Peninsular Malaysia, but this was strongly opposed by another faction. The latter felt that SPDP should focus on strengthening its position in Sarawak first. Another important factor that led to the squabble was the rumoured intention of deputy president Peter Nyarok to resign to pave the way for treasurer Tiong King Sing to take over during the party's triennial general assembly last December. At least half of the party’s supreme council members did not want Tiong to be deputy president, so they came up with another list to challenge president William Mawan and those in the president’s list. However, in order to avoid being challenged, Mawan called for a status quo. They agreed and Sylvester Enteri was to remain as secretary-general. But after the party election, Enteri was sacked and this triggered four state assemblymen, including Enteri and one MP, to walk out of the supreme council meeting. They have refused to bury the hatchet, saying they will not return as long as Mawan, Nyarok and Tiong remained in the party. As for SUPP, the party has been bogged down by a power struggle. The “Dudong branch” issue, for example, has been a thorn in its flesh for the past three years without any sign of it being resolved. In fact, it has gotten from bad to worse. Bawang Assan state assemblyman Wong Soon Koh and Dudong state assemblyman Soon Choon Teck. This protracted crisis is bound to have an impact on state seats in the Rajan basin. Based on the previous elections, the party is expected to face an uphill task in seats like Repok, Dudong, Pelawan and Bawang Assan. SUPP has already lost Meradong and Bukit Assek to DAP in the last election. Elsewhere, the party also lost Kidurong, Batu Lintang, Kota Santosa, Padungan, Pending and Engkilili. These are some of the issues which Taib is pondering about while his beard grows, and when the inspiration strikes, the chief minister will be all set for a shave. KUCHING: The Bengoh Branch of Sarawak United People’s Party (SUPP) has questioned the party’s decision to appoint an outsider as chairman of the Padawan Municipal Council (MPP). Jerip is the current chairman of the branch. Chong said he deserved to be the municipal chairman because he was a local and had served as assemblyman since 2001. SUPP president George Chan last week announced the appointment of engineer Lo Khere Chiang as the new chairman of the municipal. Lo is considered as an outsider as he is the secretary of SUPP’s Kota Sentosa branch. Before his appointment was announced, pundits had been mentioning Jerip’s name and that of his branch secretary Liu Thin Leong as favourites for the municipal chairmanship. Liu is active in Chinese education. He called on SUPP to rectify the situation, saying the party would otherwise lose support in the coming state election. Bengoh is one of the two constituencies with a Bidayuh majority. The other is Opar. Both were given to SUPP to contest in the last election. Chong’s fears are not without ground as PKR has been aggressively working in the two constituencies, which are among 29 Dayak seats that PKR is eyeing for the next election. Peter Minos, a Parti Pesaka Bumiputra Bersatu leader, said SUPP should not abandon the economically disadvantaged, especially the Bidayuhs, who are the majority group in Padawan. “They need development and better infrastructure,” he said, adding that MPP should have given the chairman’s job to Jerip because he is a Bidayuh and knows the needs of the people better. KUALA LUMPUR, June 7 — A non-Muslim woman lawyer, who obtained leave in her preliminary legal bid to be a syarie lawyer, has filed a judicial review application to challenge a decision that only Muslim lawyers are allowed to practise in the Syariah Court in the Federal Territory. In her application filed on May 19, Victoria Jayaseele Martin also sought an order of certiorari to quash the decision by the Federal Territory Religious Council, through the syarie lawyer committee, refusing her application to be admitted as a syarie lawyer. Victoria, 48, wants a mandamus order to compel the religious council to accept her as a syarie lawyer. She also wants a declaration that Rule 10 of the Syarie Lawyer Rules 1993, mandating that only Muslims can be admitted as syarie lawyers, had contravened Articles 8, 5 and 10 of the Federal Constitution. In the application, Victoria named the religious council as respondent. Her counsel, Ranjit Singh, told the media that no date was fixed for the hearing of the application. On May 14, High Court judge Datuk Mohd Zawawi Salleh granted Victoria’s leave application for judicial review for an order to compel the religious council to accept her as a syarie lawyer, after rejecting its (council’s) preliminary objection to the leave application. This is the first test case in Kuala Lumpur of a non-Muslim lawyer being given leave to challenge the ruling that only Muslim lawyers are allowed to practise in the Syariah Court here. In the Federal Territory of Kuala Lumpur, a key requirement to become a syarie lawyer is that one has to be Muslim. Shin Yang Shipping Corp Bhd, which made its debut on the main market of Bursa Malaysia today, is looking at a 10 to 15 per cent revenue growth for the financial year ending June 30, 2011. Its chief financial officer (CFO) Richard Ling said the forecast was made on the back of the completion of seven new vessels, the expansion of its existing shipyard in Sarawak and the building of a new one in the United Arab Emirates (UAE). Shin Yang registered a net profit of RM101.7 million on the back of revenue of RM673.5 million, for the financial year ended June 30, 2009. "We are looking at a 10-15 per cent growth in revenue during the financial year. Of the seven new vessels we plan to build, three will be completed in the financial year," he told reporters after the listing ceremony in Kuala Lumpur today. Shin Yang, a Miri-based company which made billions from timber concessions, opened at a one sen discount at RM1.09 against its initial public offering (IPO) of RM1.10, with 120,000 shares traded. The stock climbed to RM1.11 from the IPO price of RM1.10 at close. The proceeds of RM190 million raised from the listing will be used mainly to finance the construction of the seven new vessels to tap the growth demand, to enhance shipbuilding facilities in Sarawak and also build the shipyard in the UAE. The country's biggest shipping operator, with operations in Malaysia and the Middle East, runs a fleet of 245 vessels with total gross register tonnage of about 300,000 tonnes. Group managing director, Ling Chiong Sing said Shin Yang was expanding its shipyard building facilities in Miri and the related works, would be completed in the first quarter of next year. On the new shipyard in Hulayla Industrial Park, Ras Al Khaimah (RAK)in the UAE, Ling said the facility is expected to be completed and operational by year-end. "We have 54 operational vessels in the Gulf region, so we need a ship repairing yard. "We foresee growing demand for medium-sized vessels. There is also a strong need for a repair yard in the UAE to meet the requirements of repair and maintenance of vessels," Ling said. Shin Yang has a presence in the UAE, Qatar and Bahrain. The company is also looking forward to being in Kuwait. The civil suit on the aborted construction of the Goddess of the Sea (Mazu) statue in Kudat will resume on May 5 after Sabah Chief Minister Musa Aman and three other defendants failed to have the case thrown out on technicalities. Judicial Commissioner Yew Jen Kie made the decision at 7pm yesterday, after hearing further submissions from counsel Mohammad Shafee Abdullah for the four defendants, and Ansari Abdullah for plaintiff Chong Kah Kiat. The trial started on Jan 12 and the plaintiff has so far called three witnesses, of whom two have already been cross-examined. Yew dismissed with costs an application by the defendants to strike out the civil suit over the decision to rescind the approval given to build the statue. “The claim of the plaintiff cannot by any stretch of the imagination be said to be frivolous or an abuse of the process of the court,” she said. Yew also dismissed an application by Shafee (right) for a stay of the proceedings pending appeal to the Court of Appeal. In addition, she dismissed Shafee’s application for an interim stay to file an appeal to the Court of Appeal against the decision not to allow the stay. She said the court would hear Chong’s originating motion - filed on Dec 12 last year - after the civil suit is completed. Chong is seeking a court order to revoke the withdrawal of the letter of approval issued by the Kudat Town Board on Nov 15, 2007. He is also seeking a declaration the letter of approval issued by the Kudat Town Board on Feb 8, 2006 is valid and binding on all parties. He named the Kudat Town Board and the Central Town and Country Planning Board as the first and second respondents respectively in the originating motion. In her 11-page ruling, Yew said the grounds of the defendants’ application to strike out the suit were: that the Kudat Thean Hou Charitable Foundation has not to date been issued with a certificate of registration as a trustee, or any body, or association of persons as a corporate body under the laws of Sabah, and therefore has no legal standing and/or capacity to commence, maintain and/or pursue this action through its purported chairperson (Chong) or otherwise; and that the foundation is an illegal organisation and/or body. The issue in the application, noted Yew, was whether the foundation has the legal standing to maintain the action through its chairperson. “Has the plaintiff, the Kudat Thean Hou Charitable Foundation, the standing - the qualification in law - to bring the suit to court?” asked Yew. She reiterated her observation that Chong (right in photo) has asserted that the foundation is a purported private trust, while the defendants claimed that it is an unregistered society. “In my opinion, the issues of whether the foundation is a private trust or a purported society is both a question of fact and of law which can only be determined at the end of the day, upon mature consideration of the evidence adduced during the trial,” ruled Yew. Yew said the court is mindful that the plaintiff does not plead the legal status of the foundation and no description of the foundation was given in the statement of claim. “Furthermore, the other six trustees are not joined as plaintiffs. Be that be as it may, these omissions, if need be, can be rectified by amending the statement of claim. The court’s role at this stage, she said, is purely to see whether the plaintiff has the legal capacity to commence and maintain the action and whether the claim is frivolous and an abuse of the process of the court, and whether the plaintiff has a special genuine interest in the case. “He would have the legal standing to approach the court and be heard if he has a special genuine interest in the issues raised in the case,” said Yew. Based on the pleadings in the statement of claim, she said, the plaintiff has amply shown that the foundation has a special genuine interest in the case as the pleadings show that it has been adversely affected by the alleged conduct of the defendants. Chong, in his capacity as head of the foundation, had initiated the civil suit on Feb 6 last year against the Sabah government for forcing work to be stopped on the construction of the statue despite the letter of approval from the Kudat Town Board dated Feb 8, 2006. Kudat Town Board Executive Officer Ariff Abdullah had approved the plans for the statue on Oct 25, 2005. Chong is seeking a declaration that the first defendant had in giving directions and orders to the other defendants, acted mala fide and/or in abuse of his power as the chief minister and/or ultra vires the Local Government Ordinance and the Town and Country Planning Ordinance. Apart from the declarations on the Kudat Town Board letters, he is also seeking a ruling that a fatwa issued by the state mufti on July 7, 2006 against the construction of the statute was unconstitutional as it infringed upon Article 11 of the federal constitution. Suit Case by Former Chief Minister Chong Kah Kiat vs Sabah Government The construction of the world’s tallest Taoist Goddess of the Sea statue has set off the latest row over religious freedom in Malaysia. The 36-metre (108-foot) statue of Mazu, known as Tin Hau in Hong Kong, should be erected in the fishing village of Kudat on Borneo Island. So far only the platform has been set; the statue itself is waiting some 200 km away in the port town of Kota Kinabalu. Local authorities had approved construction in December 2005 but Sabah state authorities stopped construction saying that the statue was "offensive to Muslim sensitivities." SIBU: Justice Yew Jen Kie became Sarawak’s first woman High Court Judge yesterday. Speaking to reporters after the elevation ceremony in the morning at the High Court here, Justice Yew said she was mindful of her duty as a judge and promised to do her best. The first woman High Court Judge of Sabah and Sarawak said she was privileged and honoured to be appointed to the post, which was announced on April 14 but took effect yesterday. She was a judicial commissioner previously. She will be based at the Sibu High Court. Justice Yew said she was not aware that she was the first woman High Court Judge in Sabah and Sarawak until someone mentioned it to her. “Only then I realised I am the first woman to be appointed to this position,” she added. She believed that with more women reading law there would be more women judges in the country soon. In her speech at the ceremony, she talked of the importance of the public having confidence in the courts. Looking back, she said she took up law in 1973 with no intention to pursue a legal career. “My original intention was to pursue law as a stepping stone to another profession, which was a chartered secretary. “After a very short stint with a legal firm, I embarked on a judicial career which spanned over three decades, culminating in the elevation to a high court judge. “It is a calling to which I will remain faithful,” she said. Yew read law at the London School of Economics and Political Science in 1973. She was called to the Bar on May 12, 1979. She served as a magistrate in Sarikei, and a Sessions Court judge for 17 years before her appointment as Judicial Commissioner in 2007. She is married to Chai Ching Nan. They have three children aged between 21 and 25. KUALA LUMPUR, June 13 — Malay rights group Perkasa has asked Datuk Seri Najib Razak to intervene in Bank Negara Malaysia’s decision to reject Affin Holdings Bhd’s offer to take over another bank, EON Capital Bhd. The group has tapped the vein of discontent from Malays who object to opening the economy and claimed success when the Prime Minister kept the 30 per cent equity for Bumiputeras in the Tenth Malaysia Plan (10MP). The latest move is part of Perkasa’s aim to ensure the government maintains Malay rights. “I want to request for Datuk Seri Najib Razak to immediately intervene in the issue.” Perkasa chief Datuk Ibrahim Ali told reporters here today. Najib is also the Finance Minister. Bank Negara turned down Affin’s move to enter into talks with EONCap last week, paving the way for Hong Leong Bank Bhd (HLBB) to proceed with its takeover offer for the EON banking group. Analysts reportedly were not surprised by the decision because of Affin’s financial standing and the fact that it was a weaker bank that was trying to buy up a bigger and stronger bank. However, the independent Pasir Mas MP said Perkasa views the central bank’s decision as lopsided and an interference in a business transaction. He said Affin had made a good offer and was supported by the Employee Provident Fund (EPF) which is a substantial shareholder of EONCap. However, he claimed that Bank Negara decided to reject the negotiations which now gives Hong Leong Bank the advantage. He said this was extraordinary because Hong Leong’s earlier offer was rejected but Bank Negara’s move allows it to continue negotiations with EONCap despite the fact that Affin had made a better offer. Ibrahim said questions remain on whether Bank Negara had spoilt the chances of Affin, whose major shareholder is the armed forces pension fund or Lembaga Tabung Angkatan Tentera. He said since the armed forces pension fund was the largest shareholder, the issue is of government interest. He argued that the merger between Affin and EONCap, if allowed, had the potential to create the sixth largest banking group in terms of assets and fourth largest in. terms of branches. Ibrahim said Bank Negara needed to study the matter more carefully. He added that Bank Negara’s decision also had political implication because it could affect the government’s image and the prime minister’s leadership. He added that it was strange that EONCap, which was founded by the government and public funds, is to be allowed to change hands to private ownership. “We ask Bank Negara to be more transparent and to review their decision,” he said. Ibrahim added that Perkasa and the Malay Consultative Council (MPM), which was representing, view the issue seriously. He also threatened that Perkasa would “gather outside Bank Negara” if it had to, adding that EONCap should remain as it is if a deal could not be struck with Affin. PETALING JAYA: In a scathing open letter, the former deputy minister of land and cooperatives Tan Kee Kwong has accused Prime Minister Najib Tun Razak of “destroying” Felda. Felda or the Federal Land Development Authority is a government agency tasked with handling the resettlement of rural poor into newly developed areas. Contacted later, son of the late Tan Chee Koon and the former Gerakan leader and ex-Segambut MP, who is now with PKR, told FMT that the letter was penned after learning of some new information 10 days ago. According to Tan, Felda's cash reserve was around RM4.5 billion in 2004, but the amount has since declined by RM200 million. He blames Najib's “mismanagement” of the scheme for this. He also claimed that Najib's real intention to helm Felda was to have access to its huge hoard. “The sacrifices (in the Felda scheme) have all gone down the drain. Felda was a world-class name many years ago. It's (just) utter rubbish,” he said. Asked if he had documents to back his claim, Tan expressed confidence in his source and challenged the government to probe the matter. Meanwhile, Tan also questioned Felda's foray into the real estate market. According to him, Felda bought a “five-star office” located next to the Singapore High Commission in Kuala Lumpur. Tan also alleged that Felda officials had paid up to 40 percent of the building costs prior to its construction. “Even before one piece of construction was laid out, Felda gave RM230 million (to the developers),” he said, adding that the building would cost roughly RM600 million. “What guarantee do you have that you would finish (constructing) the building?” he asked. Tan also told FMT that 40 percent was unusually high for a deposit and that 10 percent was a more reasonable amount. He said that the building was being developed by local construction company Naza TTDI. The PKR member also challenged Felda's recent decision to raise bonds for the scheme. “Why raise bonds when it's apparently got so much reserves?” he asked. MOHAMAD Rozi Yaacob berucap pada Mesyuarat UMNO Cawangan Guar Kepah, Kepala Batas, Pulau Pinang, kelmarin. KEPALA BATAS 12 Jun - Kira-kira 100 ahli UMNO Cawangan Guar Kepah di sini terpaksa mengadakan mesyuarat dalam keadaan bersesak-sesak di sebuah bilik operasi Rela selepas dihalang menggunakan sebuah dewan di kampung itu. Semuanya gara-gara tindakan Jawatankuasa Kemajuan dan Keselamatan Kampung Negeri (JKKKN) yang menghalang mereka mengadakan persidangan tersebut di Dewan Banjir Guar Kepah di sini. Tinjauan Mingguan Malaysia mendapati, mesyuarat kira-kira pukul 6 petang semalam itu tetap diteruskan walaupun sebahagian ahlinya terpaksa berdiri ekoran bilik operasi tersebut yang sempit selain bilangan kerusi tidak mencukupi. Pengerusi UMNO Cawangan Guar Kepah, Mohamad Rozi Yaacob berkata, pihaknya terpaksa memohon ihsan pihak Rela pada saat-saat akhir untuk 'menumpang' bilik operasi pasukan beruniform itu yang terletak kira-kira 300 meter dari dewan berkenaan. Menurut beliau, pihaknya ada menghantar surat permohonan kepada pihak JKKKN kampung itu pada 1 Jun lalu dan dimaklumkan bahawa mereka boleh menggunakan dewan tersebut hari ini. "Bagaimanapun saya dimaklumkan pada saat-saat akhir bahawa kami tidak boleh menggunakan dewan tersebut dengan alasan surat (permohonan) yang ditulis tidak ditujukan terus kepada Pengerusi JKKKN sendiri. "Kami juga diberitahu bahawa kami tidak boleh bermesyuarat di dewan itu kerana UMNO cawangan dikatakan menggunakan dewan tersebut tanpa kebenaran ketika menjalani program Juara Rakyat baru-baru ini," katanya ketika ditemui selepas mempengerusikan mesyuarat itu semalam. Mohamad Rozi berkata, Ketua Wanita UMNO cawangan tersebut juga sudah mengadakan perbincangan dengan salah seorang pemimpin JKKKN berkenaan bagi memaklumkan permohonan menggunakan dewan tersebut selain turut menghantar surat. "Alasan-alasan itu sangat tidak wajar apatah lagi program Juara Rakyat yang diadakan sebelum ini memberi manfaat kepada semua penduduk kampung tanpa mengira fahaman politik," tambahnya. Mohamad Rozi berkata, isu penggunaan dewan tersebut bukan baru kerana sudah banyak aduan daripada penduduk kampung yang tidak dibenarkan menggunakan dewan atau kemudahan yang ada di dalamnya. "Ada penduduk yang ingin menggunakan kemudahan dewan bagi urusan majlis perkahwinan tetapi tidak dibenarkan pada saat-saat akhir tanpa alasan munasabah. "Bagi saya, ini sudah keterlaluan kerana kalau semua perkara mahu dipolitikkan, ia akan memberi tekanan kepada penduduk sedangkan dewan ini dibina untuk kegunaan masyarakat," jelasnya. KUALA LUMPUR 12 Jun – Pas harus menggugurkan perkataan Islam dari singkatan nama parti itu yang digunakan sejak penubuhannya berikutan keputusan membenarkan calon bukan Islam bertanding mewakili parti itu pada pilihan raya umum akan datang. Pensyarah Fakulti Sains Sosial dan Kemanusiaan, Universiti Pendidikan Sultan Idris (UPSI), Profesor Datuk Dr. Zainal Kling berkata, keputusan itu berbeza dengan ideologinya yang mengutamakan prinsip Islam termasuk tidak melantik pemimpin dari kalangan bukan Islam. “Tiada gunanya jika wakil mereka bukan Islam. Lebih baik bertukar kepada nama yang lebih nasional dan mudah diterima kaum lain,” katanya ketika dihubungi Mingguan Malaysia di sini hari ini. Beliau mengulas keputusan parti itu dalam Muktamar Tahunannya ke-56 di Kota Bharu semalam di mana calon bukan Islam akan dipilih dari ahli Dewan Himpunan Penyokong Pas (DHPP) yang ditubuhkan parti itu kepada bukan Islam tetapi menyokongnya. Menurut Presidennya, Datuk Seri Abdul Hadi Awang kebenaran itu diberikan oleh Majlis Syura Ulama Pas iaitu badan tertinggi dalam parti itu. Malah, katanya, calon akan dikenakan syarat agar tidak melompat parti dan hanya dibenarkan bertanding di kawasan yang bukan bermajoriti Melayu. Mengulas lanjut, Zainal berkata, keputusan pasti disukai PKR dan DAP kerana menjadikan Pas lebih liberal berbanding sebelum ini. Ia selari dengan prinsip kedua-dua rakannya itu dalam pakatan pembangkang. “Bagaimanapun, mungkin wujud kalangan penyokong setia parti yang tersentak dan akan memberontak agar keputusan ini dibatalkan,” jelas beliau. Zainal tidak menolak keputusan itu merupakan perancangan jangka panjang Pas untuk menjadi sebuah parti yang nasional dan tidak terikat dengan pihak lain. Penganalisis politik, Professor Datuk Dr. Nik Anuar Nik Mahmud berpendapat, keputusan itu pastinya sesuatu yang pahit hendak ditelan dan tidak dijangka oleh penyokong setia sejak sekian lama. Menurutnya, pendekatan itu mungkin merupakan hasil perbincangan berpanjangan oleh pemimpinnya selepas pilihan raya umum lalu yang mencerminkan politik negara tidak lagi dibezakan dengan sesuatu kaum atau agama. “Mereka menyaksikan bagaimana Pilihan Raya Kecil Parlimen Hulu Selangor dimenangi oleh P. Kamalanathan walaupun majoriti kawasan itu adalah Melayu,” katanya. Kata beliau, dahulunya Pas merupakan pencabar utama kepada Barisan Nasional (BN) tetapi kini mereka sudah kehilangan taring khususnya selepas penyertaan mereka di dalam pakatan pembangkang. “Pas merasakan mereka ketinggalan berbanding PKR dan DAP, maka keputusan ini diambil agar mereka kembali terserlah dan bersuara dalam arena politik Malaysia,’’ ujarnya. Tambahnya, keputusan itu mungkin dipengaruhi dengan keterbukaan beberapa pemimpin Pas terutamanya golongan muda yang terdidik melalui konsep perpaduan sejak di bangku sekolah. US Secretary of State Hillary Clinton has hailed the new UN Security Council (UNSC)sanctions against Iran, claiming that they will hinder Tehran's nuclear energy program. The vote on new sanctions against Iran by an "overwhelming majority" in the UNSC justifies the Obama administration's strategy of reaching out to Tehran, Clinton boasted in talking with reporters in Bogota, Colombia Wednesday. According to the Associated Press, Clinton "downplayed" the role of Brazil and Turkey which voted against the new sanctions, adding the US expected them to "abide by the resolutions, as all other member states of the United Nations will be expected to." Meanwhile, some US lawmakers described the sanctions against Iran as weak. They said the US Congress would pass its own sanctions later this month. In the meantime, the Russian foreign ministry warned against unilateral sanctions, saying such attempts were unacceptable. Moscow also said sanctions would not resolve the stand-off over Iran's nuclear program. European Union Foreign Policy Chief Catherine Ashton said she was ready to hold talks with Tehran over its nuclear program. Of the 15 UNSC member states, Brazil and Turkey voted against the new round of sanctions, while Lebanon abstained. The fourth round of sanctions was adopted against Iran over its uranium enrichment which has been portrayed as a threat despite repeated assurances from the IAEA on the non-diversion of nuclear material in the country. Brazilian President Luiz Inacio Lula da Silva says that the UN Security Council's decision to impose new sanctions on Iran was "a mistake." The UN Security Council powers have lost a "historic opportunity" to negotiate a solution by imposing new sanctions on Iran, Lula said in comments broadcast on television during a visit to northeastern Brazil on Wednesday. "Sadly, this time it was Iran who wanted to negotiate and those who didn't want to negotiate were those who think that force resolves everything," he added. "It is an episode that undermines the Security Council of the United Nations. The Council represents a balance of power dating back to… when it was created," the Brazilian president said. He went on to say that the Security Council must be reformed and must allow emerging countries greater representation. "It makes me sad because everyone is in favor of reforming the Council. Everyone says Brazil must be part of the Council, but (this speech) lasts already 17 years," Lula noted. In the 12-2 vote at the Security Council, non-permanent members Brazil and Turkey voted against the Iran sanctions resolution and Lebanon abstained. The foreign ministers of Iran, Turkey, and Brazil signed a declaration in Tehran on May 17, according to which Iran would ship 1200 kilograms of its low-enriched uranium to Turkey to be exchanged for 120 kilograms of 20 percent enriched nuclear fuel rods to power the Tehran research reactor, which produces radioisotopes for cancer treatment. The nuclear declaration gives Iran a guarantee since the low-enriched uranium is to be stored in Turkey and would be returned if Iran does not receive the 20 percent enriched nuclear fuel within one year. Despite the fact that Iran agreed to conduct the fuel swap in a third country — a demand by the West that Iran had previously rejected due to guarantee concerns — on June 9 the UN Security Council passed a resolution imposing new sanctions on Iran. Tehran says it sees the declaration as a confidence-building measure that provides an opportunity for cooperation between Iran and the West. UNITED NATIONS—The United Nations Security Council passed new economic sanctions Wednesday against Iran for its nuclear work, setting up a growing confrontation between Tehran and the West. Iranian leaders said Wednesday they were unbowed by the U.N.'s action and would push forward with their country's nuclear program. President Mahmoud Ahmadinejad dismissed any hopes for rapprochement between Iran and the U.S.
"These sanctions are like used tissues which should be thrown in the trash," the Iranian leader said after the vote, according to ISNA, a state-run news agency. The resolution, the U.N.'s fourth round of sanctions against the country since 2006, calls for new curbs on conventional-weapons sales to Iran and steps up international inspections of cargoes shipped in and out of Iran. The sanctions are less severe than those initially sought by the U.S., but the White House said it will use the resolution to pursue a broader financial war against Iran in league with key allies in Europe, Asia and the Middle East. President Barack Obama, in announcing the U.N.'s agreement, offered his most pointed attack on Iran's leadership following a year of fruitless attempts to engage it diplomatically. He justified the new sanctions on the grounds of defending human rights as much as combating a proliferation threat. The vote "sends an unmistakable message about the international community's commitment to stopping the spread of nuclear weapons," Mr. Obama said at the White House. "Whether it is threatening the nuclear non-proliferation regime, or the human rights of its own citizens, or the stability of its own neighbors by supporting terrorism, the Iranian government continues to demonstrate that its own unjust actions are a threat to justice everywhere." The resolution passed the 15-nation Security Council with 12 votes in favor. Brazil and Turkey voted against and Lebanon abstained. While previous resolutions appear to have slowed Iran's nuclear pursuit, the country has moved its program forward, building new centrifuges and enriching uranium to a 20% level. Uranium must be enriched to above 90% to produce fuel for a nuclear weapon, which the West, as well as Russia and China, fear Tehran is pursing. Iran says it is enriching uranium for civilian use only, as permitted under the Nuclear Non-Proliferation Treaty. The treaty, to which Iran is a party, also calls for inspections of Iran's nuclear facilities by the International Atomic Energy Agency, which has been unable to certify the purpose of Iran's program. The resolution is a product of months of negotiations between the U.S., U.K. and France on the one hand, and Russia and China on the other. All are permanent Security Council members with a right to veto any resolution. On Thursday morning China's foreign ministry said the new resolution doesn't close the door on further diplomatic efforts with Iran. "China always holds it is the right way to address the Iranian nuclear issue through dialogue, negotiation and other diplomatic means," the spokesman said in a statement on the foreign ministry's website. The U.S. had weighed some form of energy sanctions on Iran, and wanted to prevent countries from doing business with Iran's central bank. Washington also wanted to ban all commerce with Iran's primary air and sea shipping companies. From left, the U.K.'s Permanent Representative to the U.N. Mark Lyall Grant, China's Permanent Representative to the U.N. Li Baodong, an unidentified man, Russia's Permanent Representative to the U.N. Vitaly Churkin, the U.S.'s Permanent Representative to the U.N. Susan Rice, and France's Permanent Represenative to the U.N. Gerard Araud talk before the U.N. Security Council voted on new sanctions against Iran. What it means: Iran can no longer go to the international market for much of its big-ticket defense needs. But Tehran has recently launched Iranian-made missiles, drones and warships. What it means: Countries may be more inclined to inspect vessels in their ports rather than risk allowing contraband through. U.S. officials accuse Iran of attempting to disguise cargos and ship ownership to avoid sanctions enforcement. --calls on countries to deny financial services, insurance and reinsurance to firms suspected of trafficking nuclear proliferation contraband. What it means: Iranian shipping companies and counterparties could find it costlier, or impossible, to insure even non-suspect shipments as insurers seek to avoid risk. Identifies Javad Rahiqi, head of Iran's Atomic Energy Organization's Esfahan Nuclear Technology Center, as involved in nuclear or ballistic missile activity and subjects him to overseas asset freezes and effectively limits his travel and overseas financial transactions. What it means: A symbolic move that could worry other senior Iranian officials involved in Iran's nuclear program, who travel or invest overseas. Practically, the move would have little consequence as Mr. Rahiqi's personal international contacts aren't significant for Iran's nuclear program. Forty new companies, all but two based in Iran, have been added to the U.N.'s list of entities involved in nuclear or ballistic missile activity. What it means: It greatly expands the number of companies identified as sanctionable. But most of these defense and heavy industry groups would have been subject to scrutiny for some time, including15 associated with the Islamic Revolutionary Guard Corps. Some some have already been named in U.S. unilateral sanctions. In the end, there are limited sanctions on Iran's energy sector, save one oil-services company on a list of sanctioned firms. The resolution's preamble merely asks countries to "exercise vigilance over transactions involving Iranian banks, including the Central Bank of Iran." U.S. officials working on the sanctions said they plan to pursue more aggressive unilateral measures. The Obama administration is targeting the businesses of Iran's elite military force, the Islamic Revolutionary Guard Corps, and have focused in particular on isolating Khatam al-Anbiya Construction, an IRGC-owned holding company that Washington believes is an umbrella for dozens of other companies that fund the Iranian military's operations. The resolution calls for international asset freezes of 40 companies that weren't included in previous sanction efforts, including 15 new IRGC-linked entities. It also added a single individual, Javad Rahiqi, 56, the head of the Atomic Energy Organization of Iran's Esfahan Nuclear Technology Center, who will no longer be permitted to travel overseas. The measure also reinforces an earlier Security Council call for nations to board ships on the high seas in search of suspected contraband items headed to or from Iran. U.S. officials also said the language of the resolution is broad enough that Washington could press companies and countries to act against a range of Iranian finance, insurance and reinsurance companies for their alleged role in aiding Tehran's nuclear and missile programs. Nations will not be allowed to license Iranian banks on their territories if they are linked to proliferation. Still, a number of Republican lawmakers on Capitol Hill criticized the White House for accepting a sanctions resolution that they argued won't be aggressive enough to upend Iran's nuclear work. These legislators vowed to push a new law through Congress this month that would take action against companies investing more than $20 million in Iran's energy sector. They pressed Mr. Obama not to seek waivers to exempt countries or companies from abiding by the law. "We need dramatic action to change the game of Iran's nuclear program," said Rep. Ed Royce (R.-Ca.). "This resolution is far from dramatic." Rep. Gary Ackerman, a New York Democrat, said the sanctions do have teeth. "The question in the Security Council is never what would we like in the ideal, but rather, what can we get in the real world," he said in a statement. "And in the real world we got major new sanctions on Iranian banking, finance, shipping, and arms transactions, and vital designations of the Iran Revolutionary Guard Corps." Iran suggested Wednesday the resolution would scuttle further diplomatic efforts on the nuclear issue. "No amount of pressure and mischief will be able to break our nation's determination to pursue" nuclear energy, said Mohammad Khazaee, Iran's ambassador to the U.N. "Iran has never bowed and will never bow to hostile actions" and will continue to "defend its rights," he said. George Lopez, a Notre Dame University professor who studies sanctions, said the resolution's arms embargo appeared tough, but it could take six months or so to determine the overall effectiveness of the new sanctions. For the next two or three months, he said he expected harsh rhetoric from Tehran. "I think you are going to get a lot of bluster out of this regime for a while. They are going to claim victory from the two negative and one abstention votes," Mr. Lopez said, adding that Iran could later seek to return to negotiations. "The tradition of the 10 years of this is that these guys do respond to pressure," he said. "They just never do it on our timeline." The resolution contains a proposal from the U.S., China, Russia, Germany and the European Union to assist Iran's civilian nuclear program, provided Iran suspends uranium enrichment. Iran would be provided technological and financial assistance and support for the construction of an advanced light-water nuclear reactor. The U.S. says its "dual-track" approach to Iran—diplomacy and sanctions—won't end with this resolution. U.N. ambassador Susan Rice said Mr. Obama had "personally" become involved in a diplomatic outreach to Iran, a break from eight years of the Bush administration shunning any contact with Tehran. But she said Iran had so far squandered the opportunity. The diplomatic outreach's high point came when the U.S. took part in direct talks with Iran in Geneva on Oct. 1. At that meeting, a confidence-building deal was concluded with Iranian negotiators in which Iran was to send a majority of its low-enriched fuel to Russia for enrichment up to 20%. France would then manufacture the uranium into fuel rods for use in Tehran's medical research reactor. The Iranian leadership eventually nixed the deal and afterward announced it was enriching to 20% on its own. Last month, Brazil and Turkey, two non-permanent Security Council members, tried to revive the fuel-swap deal with an agreement signed in Tehran. But that deal was significantly different, Western diplomats said: Iran was instead to send its nuclear material to Turkey but could recall it at any time, and neither Russia nor France were to play a role in the deal. Within days, the Security Council reached its current sanctions plan. On Wednesday, Brazil and Turkey voted against it. Maria Luiza Ribeiro Viotti, Brazil's U.N. ambassador, said Brasilia's vote aimed to "honor" its efforts to broker a deal with Iran, which was formally rejected by the permanent members of the council and Germany on Tuesday night. She said sanctions run counter to the "successful efforts" of Brazil and Turkey to engage Iran in a negotiated solution. Turkey also expressed concern that the adoption of sanctions would "negatively affect the momentum" of the Brazil-Turkey initiative. Ertuğrul Apakan, Turkey's U.N. ambassador, said Turkey doesn't want any country in its region to possess nuclear weapons and called the Turkey-brokered proposal "a first step in a broader road map that could lead to a comprehensive settlement of the problem."